We’re beginning a new three-year project (Only Two Turtle Doves? An urgent quest to save our summer visitor) with funding from the Heritage Lottery Fund* through their ‘Our Heritage’ grant. We want to try and help our local population of Turtle Doves. 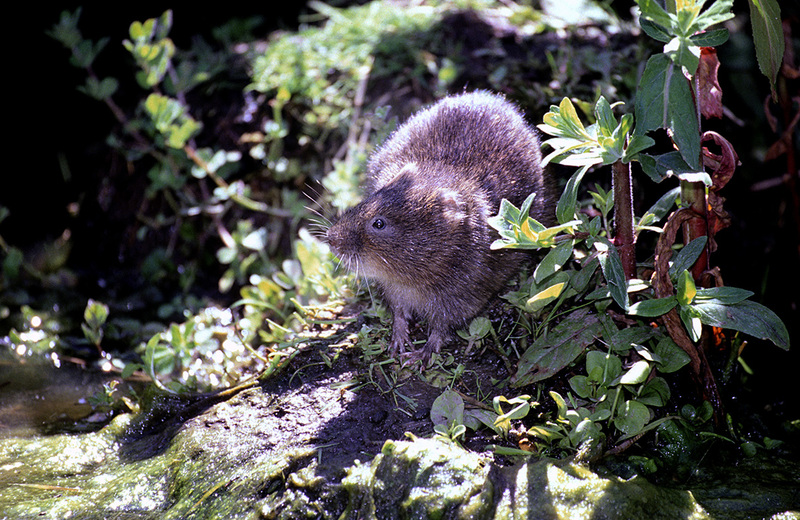 The species is declining dramatically in the UK and is considered vulnerable to global extinction. 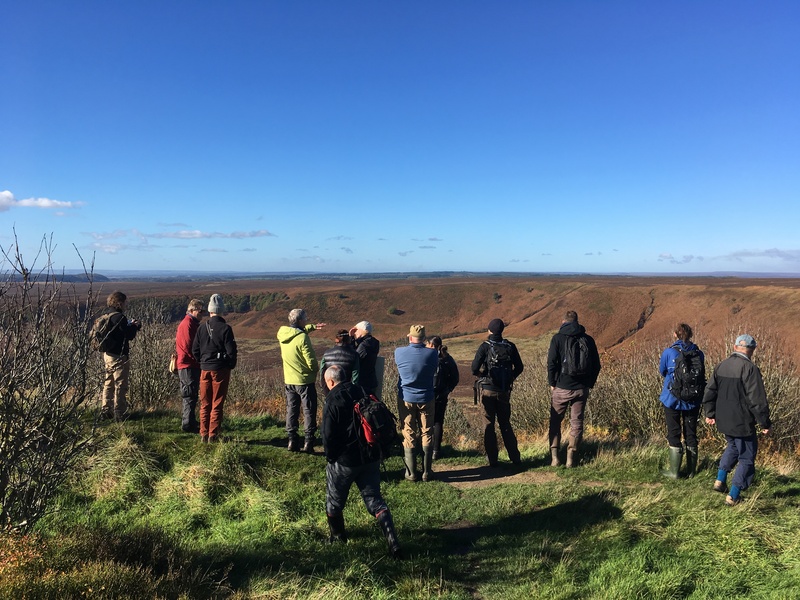 The North York Moors still has a small population of the birds which currently breed here over the summer before migrating back to Africa. We know that Turtle Doves have been recorded mainly around the forests on the southern fringe of the North York Moors. Through our project we want to establish what it is that the Turtle Doves favour in terms of farmland/forest edge habitat here and then provide informed advice and carry out conservation work to secure and enhance these habitats to maintain our local population. We’re aiming to assist the birds by ensuring there are suitable plants for seed to eat throughout the summer, and also by providing clean supplementary seed in spring. The spring seed will help the birds reach breeding condition quickly once they arrive back following migration and this should hopefully improve breeding success. We will be commissioning annual surveys and working with local volunteers on supplementary surveys, as well as asking the general public to submit sightings. 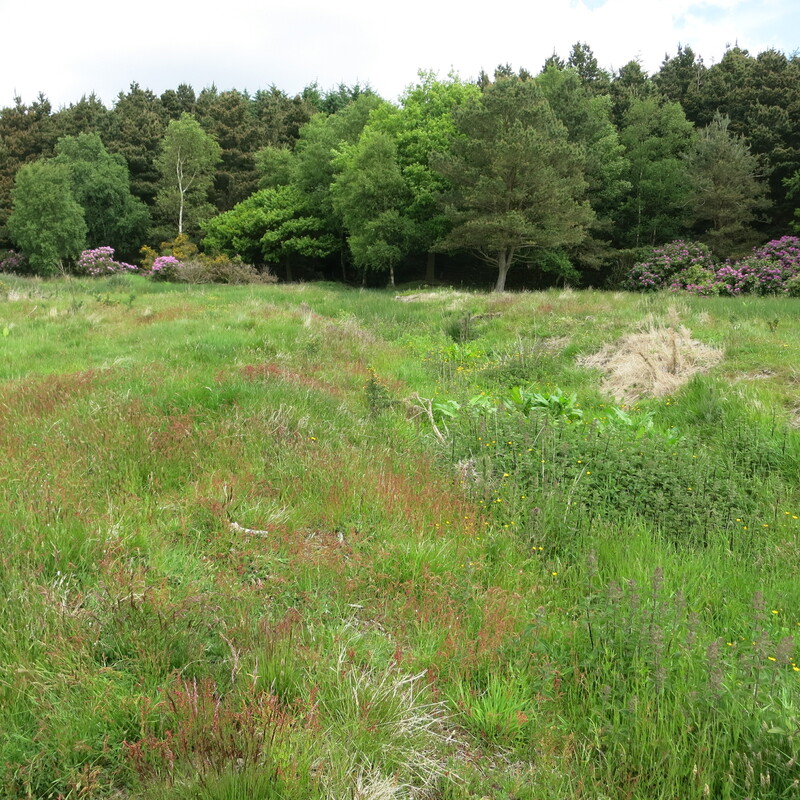 The conclusions from the data collected will build up an understanding and help target and tailor advice to land managers whose land is, or could be, supporting the species though simple actions or help into an agri-environment scheme. The idea is that this will not only benefit Turtle Doves, but other declining farmland birds such as Skylark, Yellowhammer and Grey Partridge and wider biodiversity interests such as cornfield flowers, wildflower grasslands and pollinating insects. We’re looking to build on synergies developed with the Cornfield Flowers Project, a long term arable flora conservation initiative and its existing network of conservation-minded farmers which provides a model for engagement and a source of farmer champions. 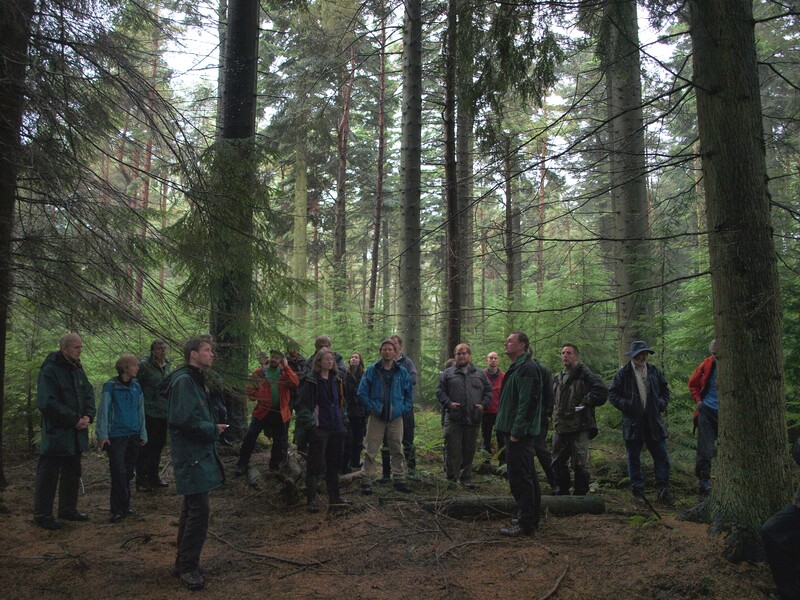 We want to expand this engagement and use farm and woodland managers as advocates to share knowledge and best practice. We’ll also be involving other parts of local communities as well as visitors – through interpretation, events and talks – sharing how to identify the Turtle Dove, where it goes on its perilous cross continent migration, why it needs assistance and what that entails. The more people appreciate the species as part of their natural heritage, the better placed the species will be to get the active help it needs to survive. We will be working with Parish Councils and Parochial Church Councils to manage public land for the benefit of the species e.g. roadside verges, village greens, churchyards, cemeteries; and we’ll be advising what people could do in their own gardens. Hopefully small actions will have beneficial consequences for the birds and for the people who then get to see and hear Turtle Doves in their own locality. 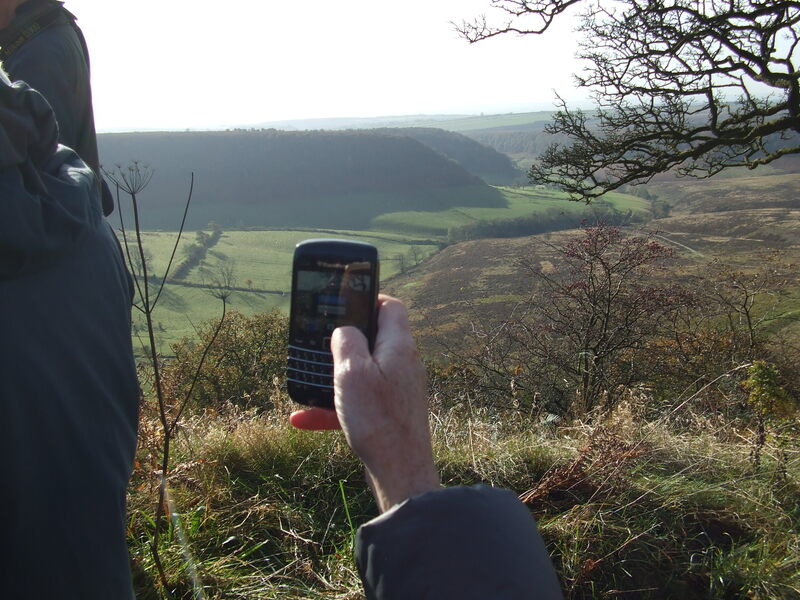 As well as the HLF and the National Park Authority, other project partners include the Forestry Commission, the RSPB, the North and East Yorkshire Ecological Data Centre, Scarborough Borough Council, and the Howardian Hills Area of Outstanding Natural Beauty; and crucially volunteers as well as the land managers and the local communities on the ground. We want to do what we can to prevent local extinction and to contribute as much as we can to the conservation of the species nationally so as many people as possible can get to hear the Turtle Dove’s evocative purring call first hand. We’ll let you know what’s happening and how to get involved as the project develops. 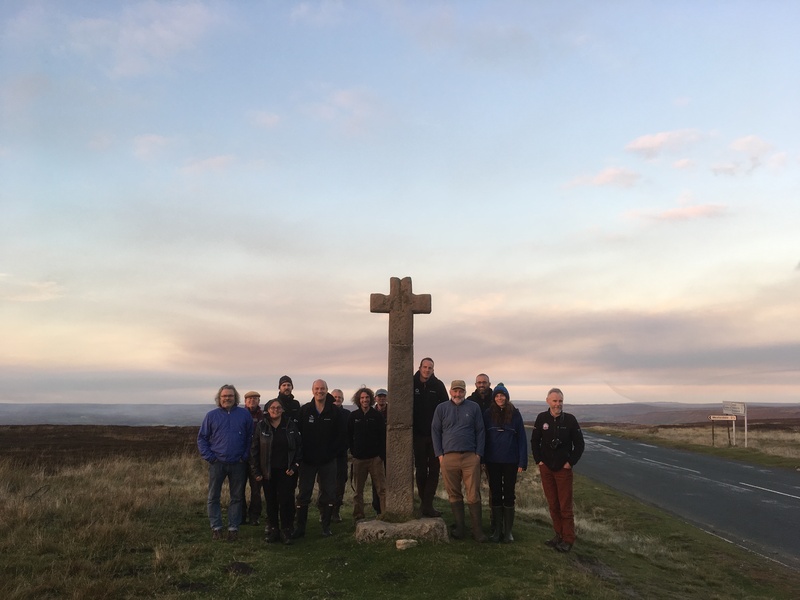 * The project is part of the HLF’s campaign – Yorkshire’s Back Garden – to re-connect people to their natural heritage. 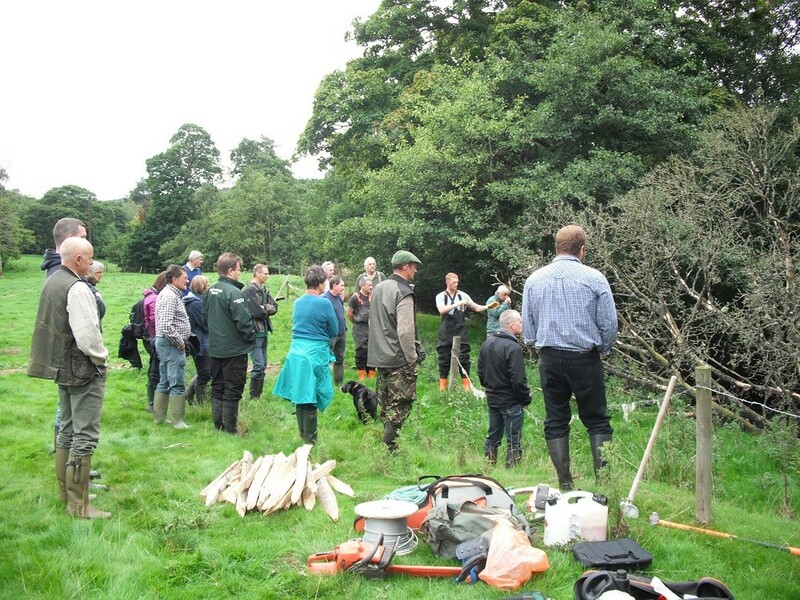 A couple of weeks ago a demonstration event was held in Bilsdale, organised through the new (Yorkshire) Derwent Catchment Partnership*. 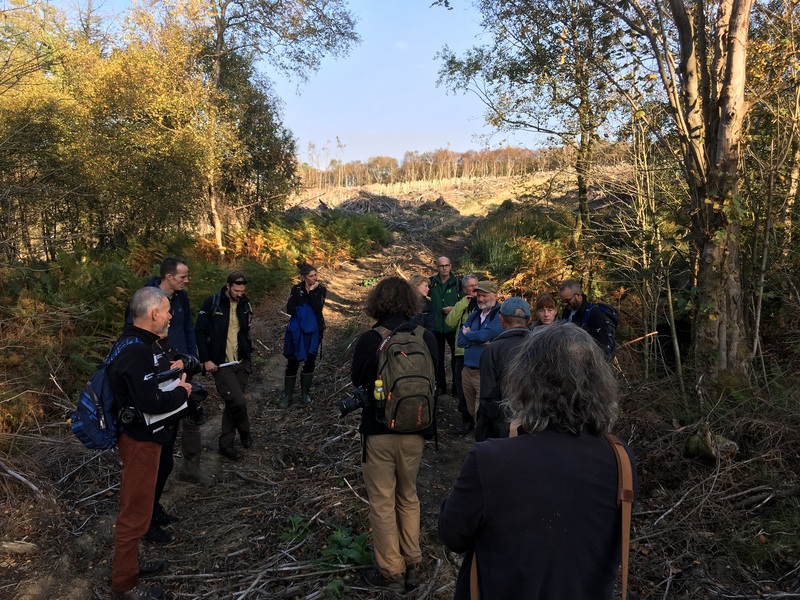 The event, kindly hosted by Mr and Mrs Lang, was held in order to share knowledge and experience when it comes to managing watercourses for wildlife benefits. Initial discussions between landowners and Partnership organisations focused on practical application. The Wild Trout Trust led on the practical demonstrations in the river. 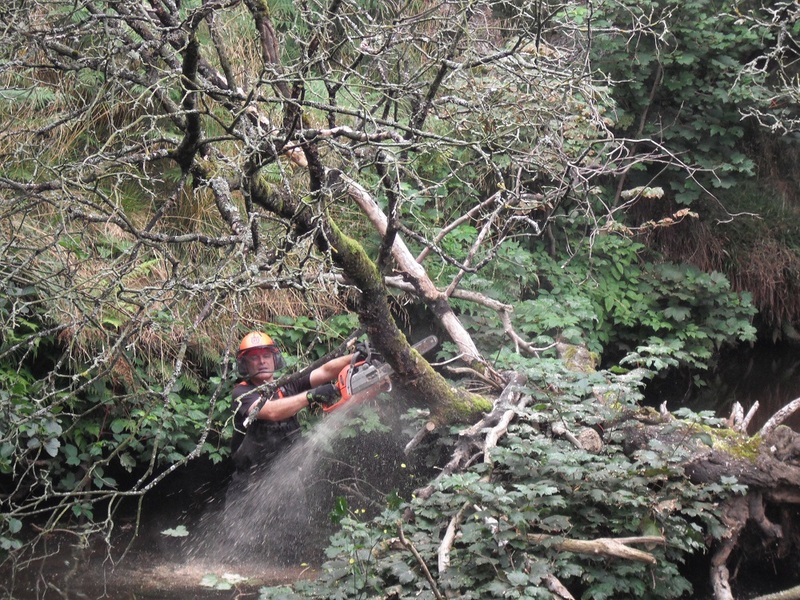 This included realigning some of the woody debris found in the channel in order to re-direct water flows. 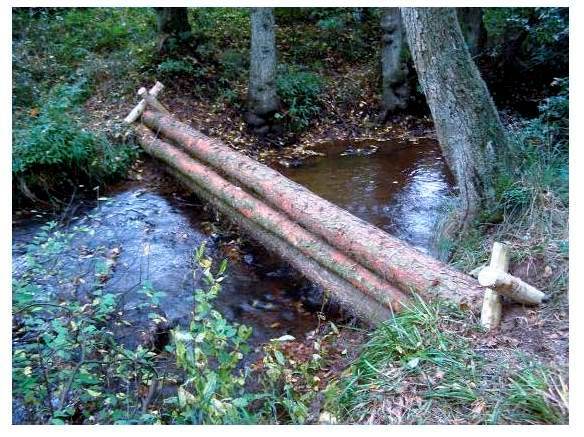 There was a lot of talk around the question of responsibility for trees in rivers, and when and where to remove or leave or realign them. 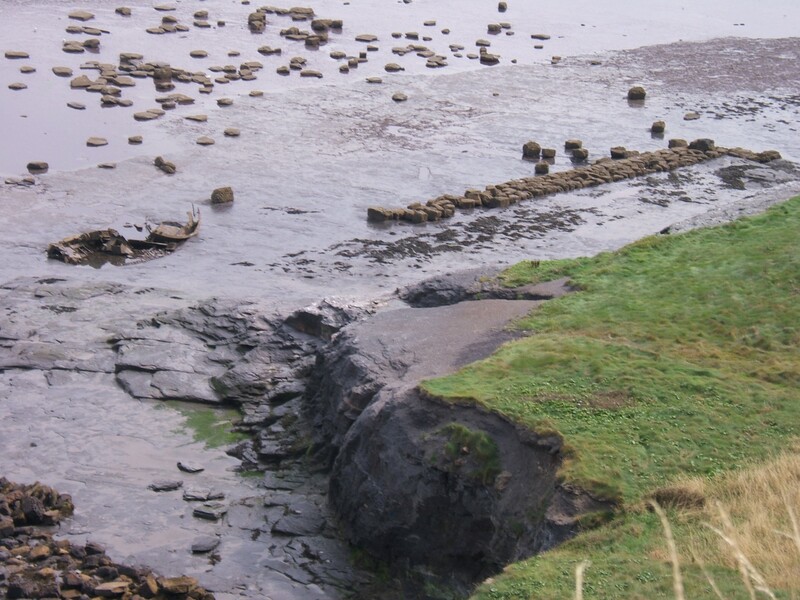 The practical demonstrations also included using natural materials to help stabilise banks in order to lessen erosion. 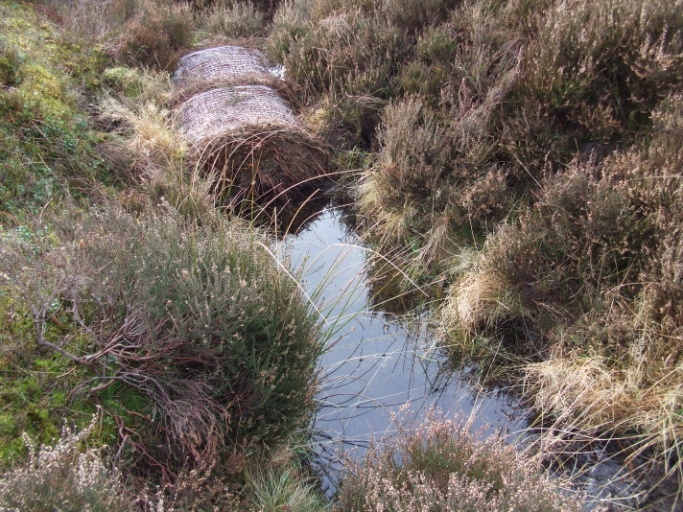 One of the main issues with the Rivers Rye and Seph in Bilsdale is siltation which smothers river gravels and therefore inhibits spawning areas for fish with a knock on effect on fish populations. 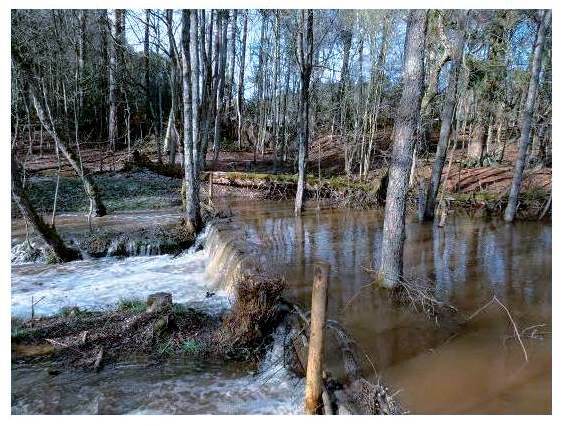 Riverside fencing and resulting buffer strips can have a significant effect in lessening agricultural run-off into a watercourse and so improve water quality. 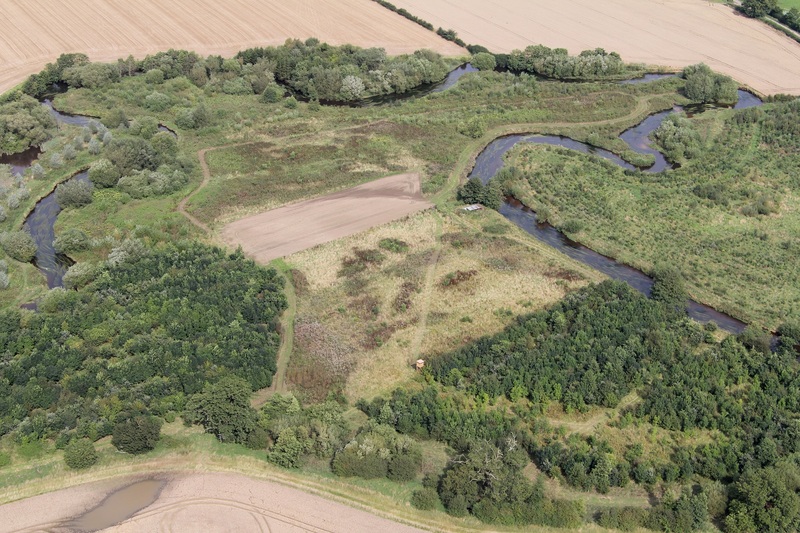 Creating 6 metre wide grass buffer strips along banks can not only help halt run off and help stabilise the banks with vegetation but also provide excellent habitat linkages adjacent to the river and so enhance connectivity along the river corridors running through a landscape. Over this summer the National Park Authority has lead on another round of Himalayan balsam control, this time on behalf of the Partnership. 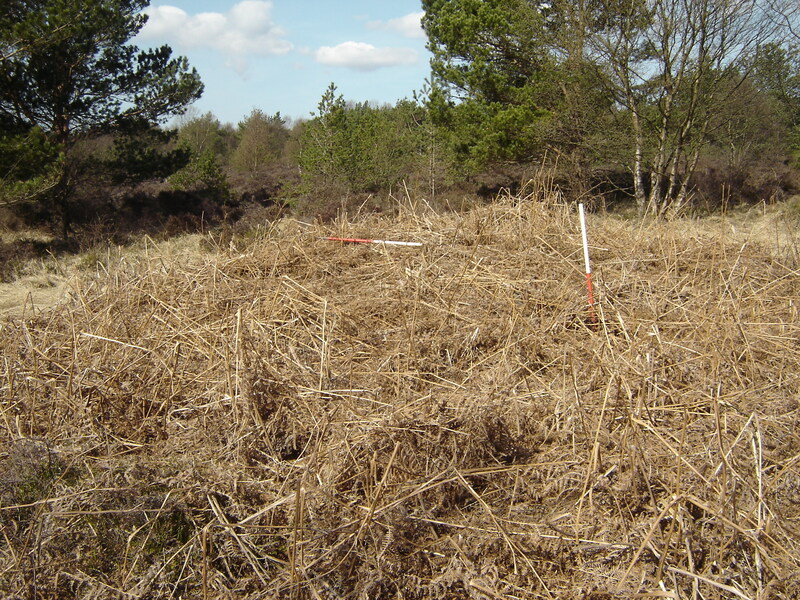 This is the 8th year of this programme aimed at eradicating this particular invasive non-native plant at the top of the Rye catchment. Where the programme started, right at the top reaches of the the River Seph, the aim of eradication has almost been achieved, but repeat surveying and the pulling up of any individual plants that remain is vital to make sure this can be finally realised. 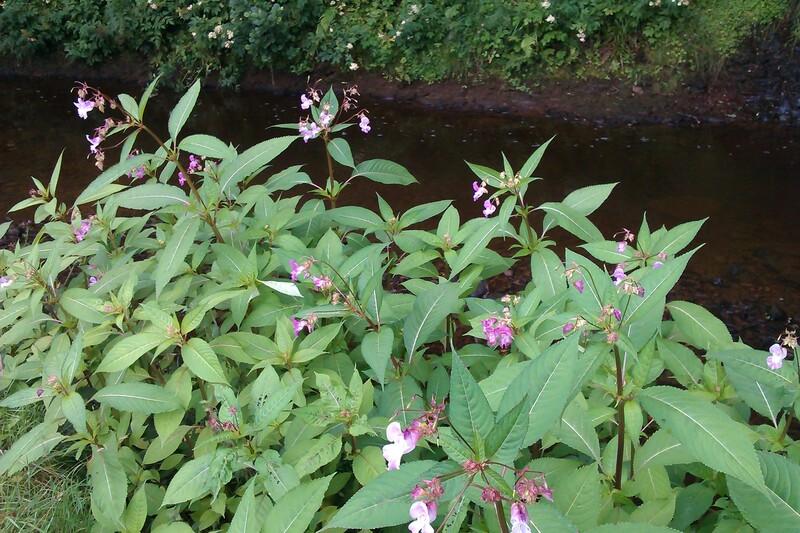 Himalayan balsam can grow pretty much anywhere but it is particularly rife along watercourses where seeds are effectively spread downstream by the moving water. The main threat of the plant to a riparian habitat is that it tends to out compete native vegetation and then dies back in the winter leaving banks uncovered and subject to erosion. 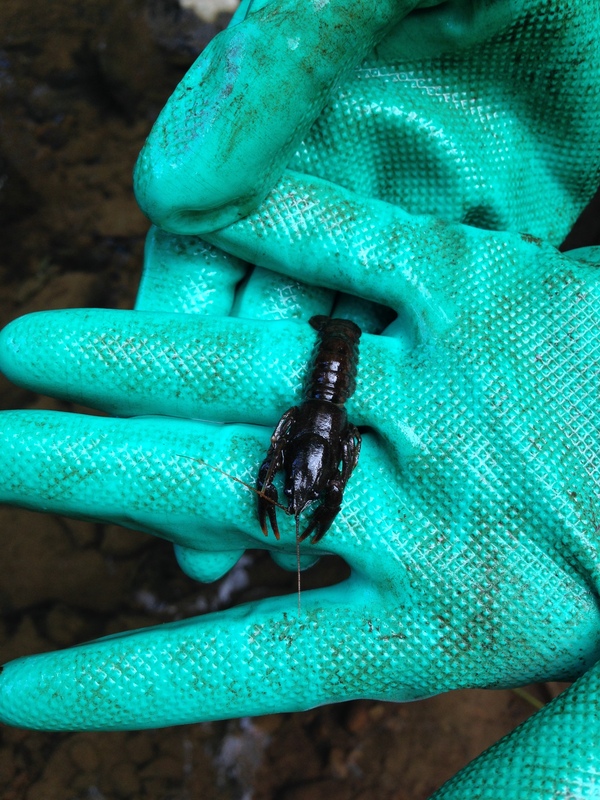 Enhancing the river for wildlife is a key goal for all members of the new Partnership. What is essential for delivery is the engagement of landowners and the identification of common objectives, and this kind of event can help with that. 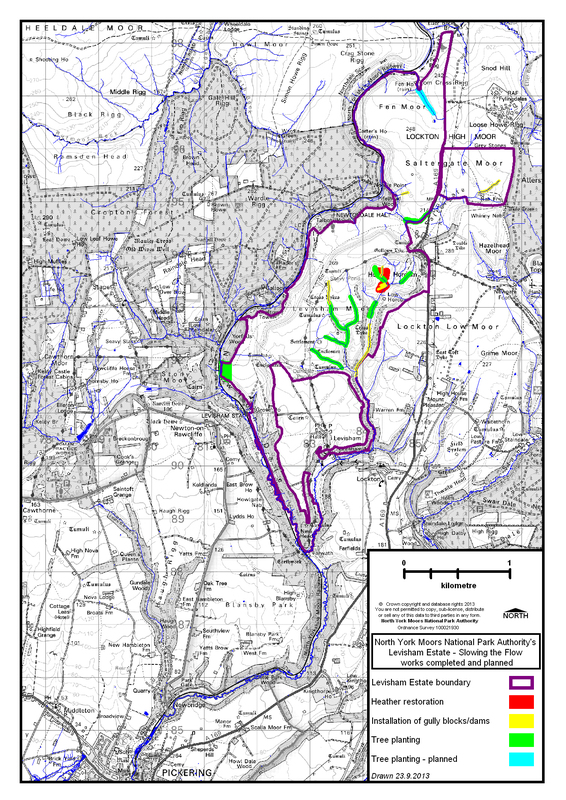 *The Derwent Catchment Partnership includes the East Yorkshire Rivers Trust, Environment Agency, Forestry Commission, Natural England, Yorkshire Wildlife Trust, North Yorkshire County Council, East Riding of Yorkshire Council, City of York Council, Howardian Hills AONB, and the North York Moors National Park Authority. We thought we’d try something new, new for us anyway. Now and again we’re going to post bits and pieces on conservation. 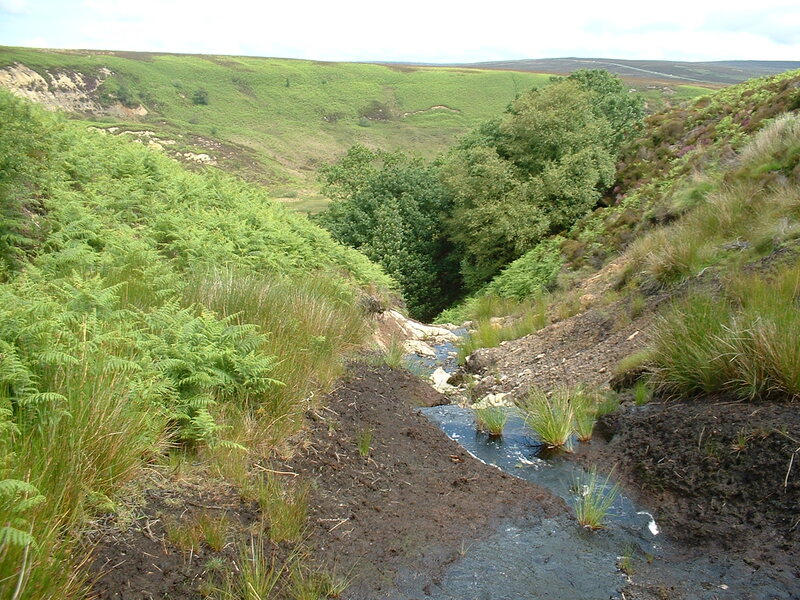 the National Park and the North York Moors – under each letter of the alphabet. That’s the plan – we’ll see how far we get. 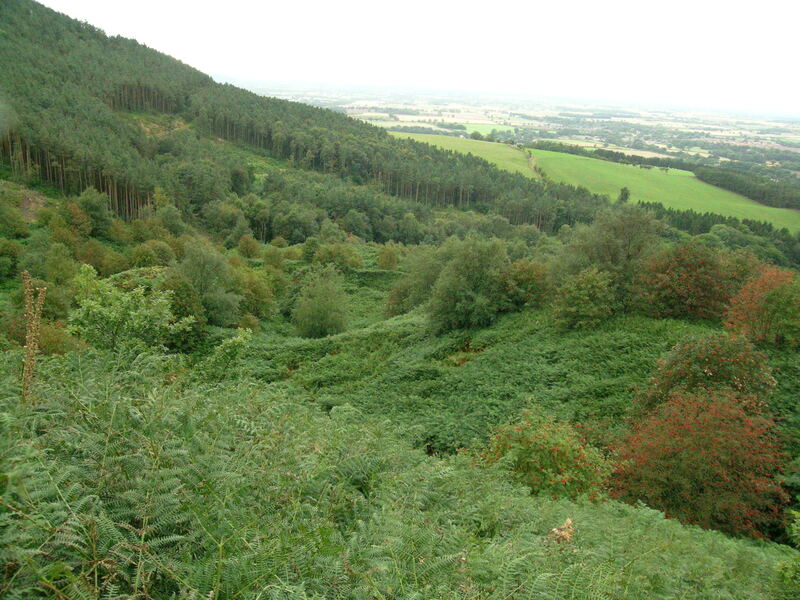 The North York Moors includes large areas of forest owned and/or managed by the Forestry Commission. 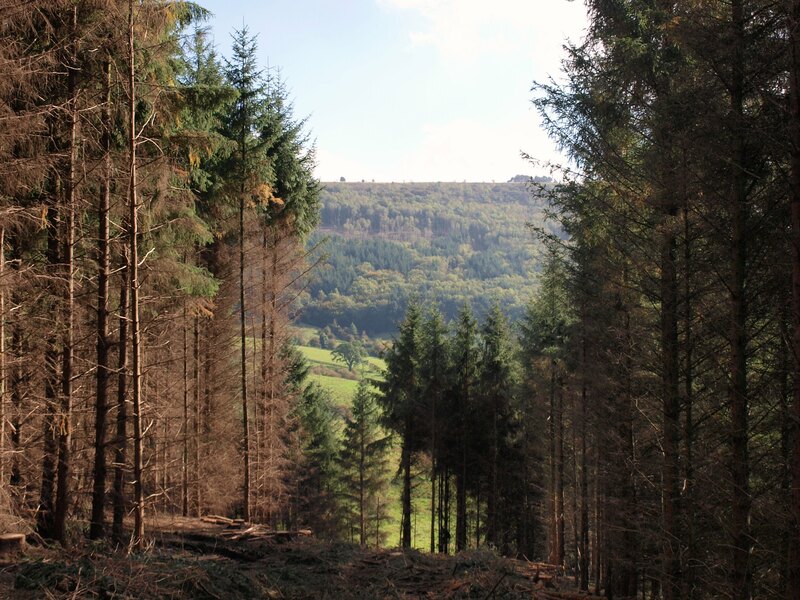 These forests were planted at the beginning of the 20th century when in a time of uncertainty following World War One it was decided that the nation needed to create and maintain its own timber resource. 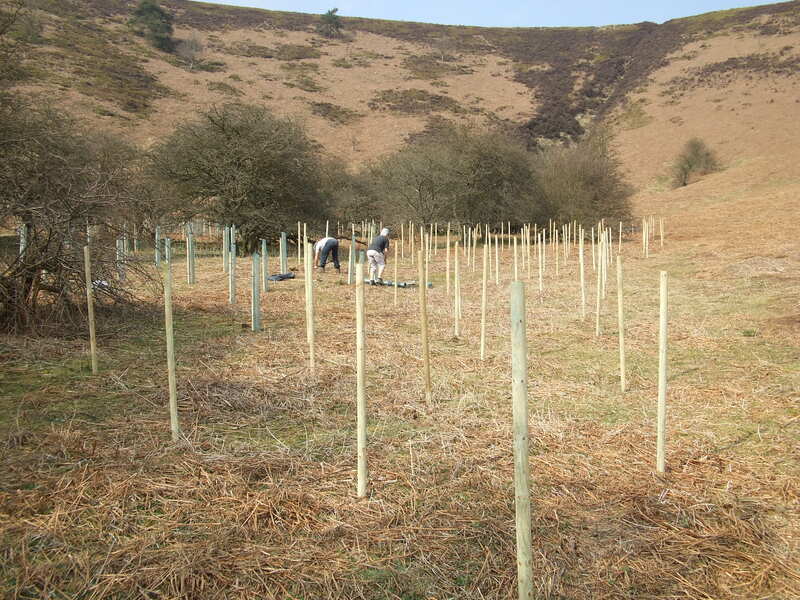 This afforestation had a dramatic long term effect on the landscape of the North York Moors which continues today. 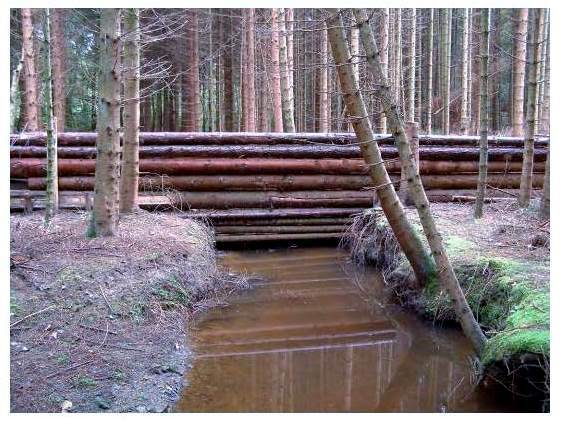 Timber and other wood products from both public and private enterprises in the National Park remain economically important to the North York Moors. 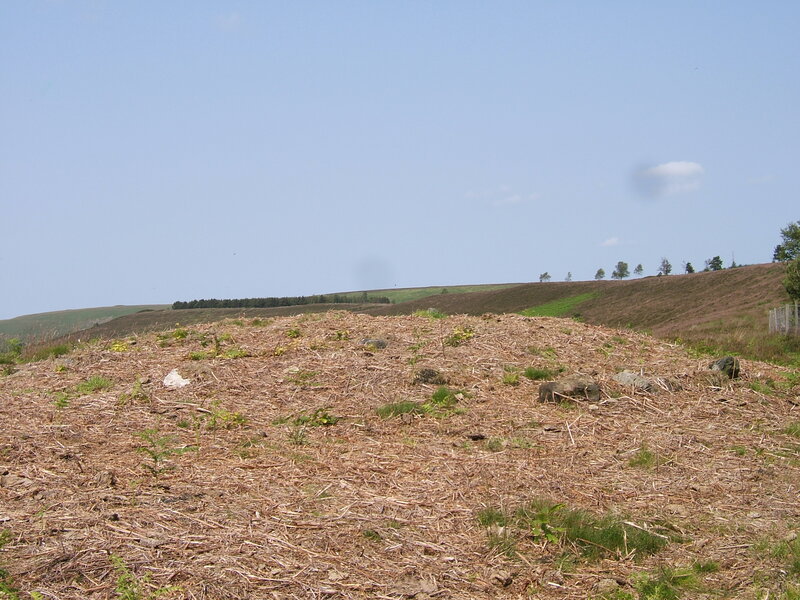 This is using the word afforestation as it is understood nowadays – turning land into forest by planting trees. In medieval times afforestation meant designating land as forest and therefore placing it under forest law, separate from common law. A forest meant an area for hunting belonging to the Crown; so heathland and grassland as well as woodland, wherever deer and boar and other game animals would live. 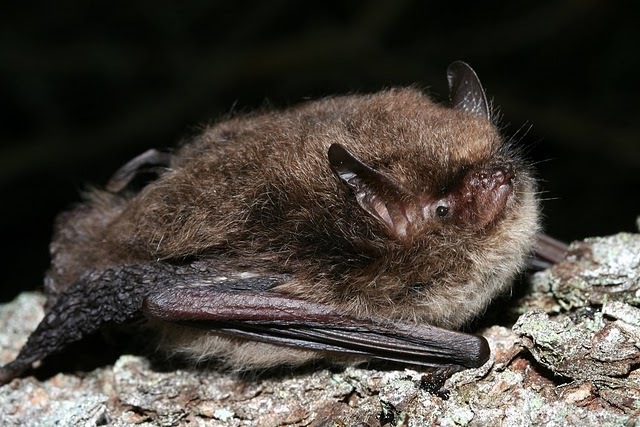 This bat was first identified as being in the United Kingdom in 2010 – in Sussex and in the North York Moors. It could have been here for years it’s just that it’s difficult to distinguish from other bat species. 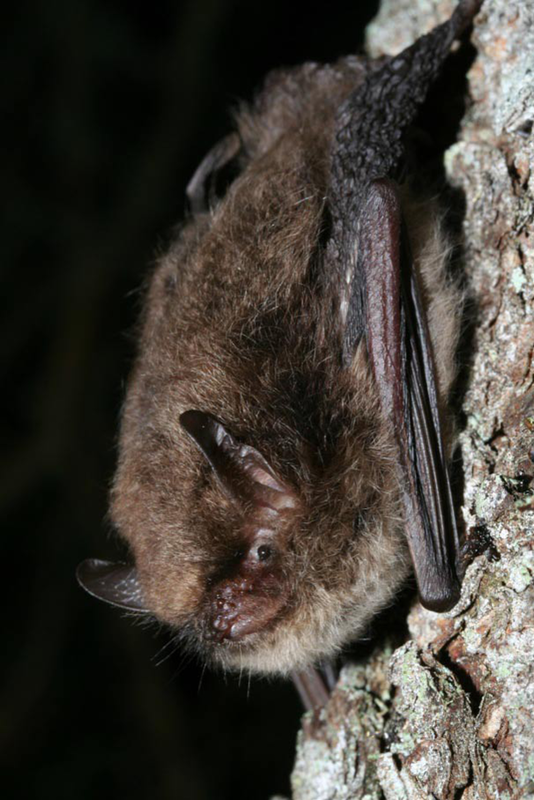 The Alcathoe bat lives in woodland and swarms with other bats to mate before hibernation. 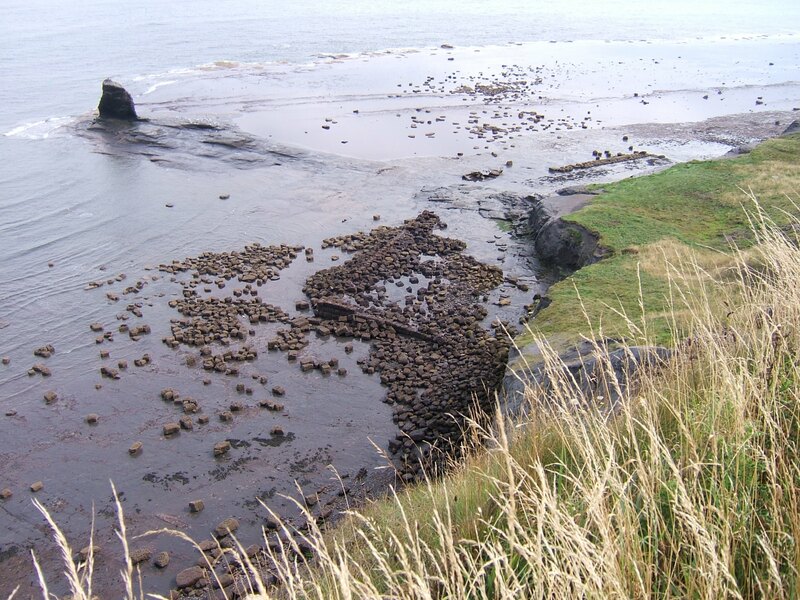 One of the records in the North York Moors was from the autumn swarming at one of the Ryedale Windy Pits. Alum was one of England’s earliest chemical industries, operating in the North East Yorkshire region from c.1604 until 1871. Alum (aluminium sulphate) was important in textile production which was our main export in the 17th century, and was used as a compound with potassium (e.g. seaweed) and ammonia (e.g. urine – at first collected locally and later also shipped in from coastal towns) to make vegetable dyes colour-fast. 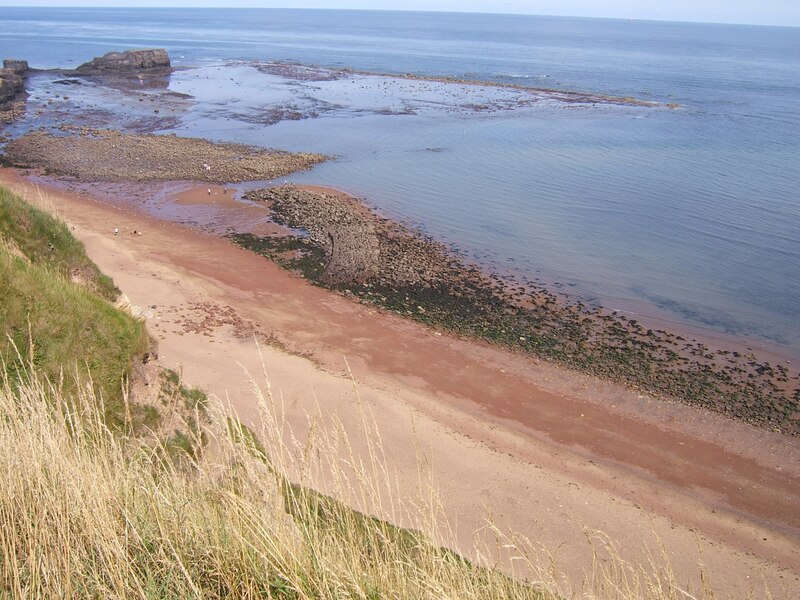 With the exception of one Alum Works in Lancashire, North East Yorkshire produced the entire supply of English alum until the early years of the 19th century. 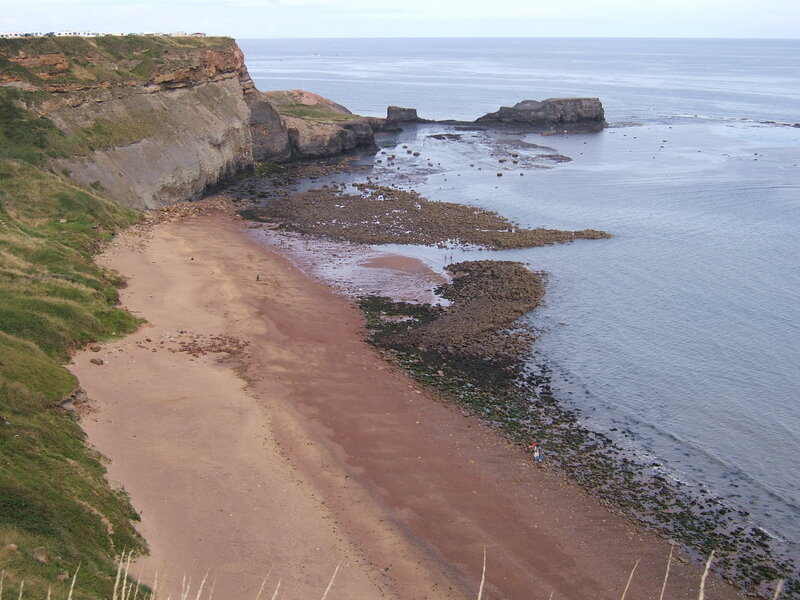 The main Alum Works and Quarries were along the coast, which provided better exposures of the mineral together with the most practical means of transport to markets when travelling by sea was a much better prospect then setting off across country. 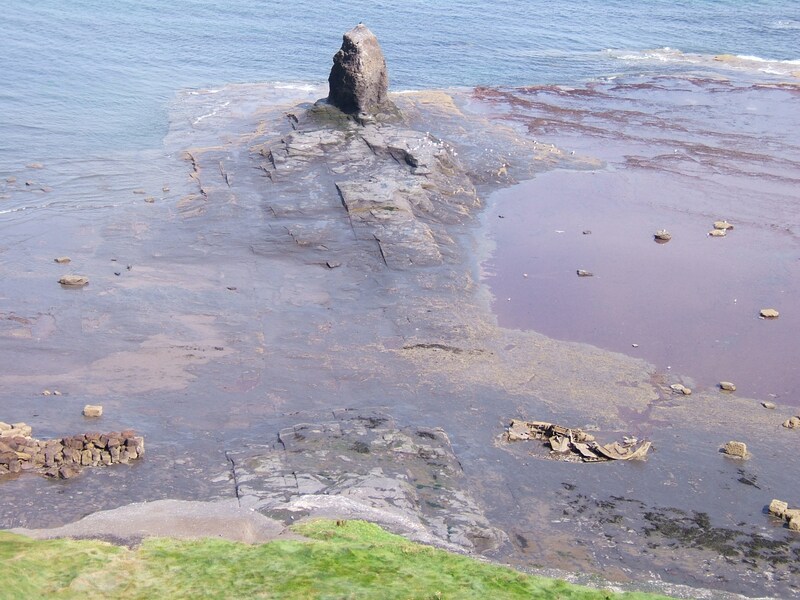 Although softened by over a century of weathering and coastal erosion, the extracting and processing industry has left huge imprints on the North York Moors landscapes which can still be seen today for example at Ravenscar, Saltwick, and Kettleness. 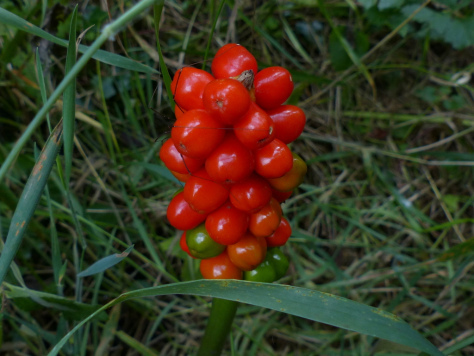 Also known as Lords and Ladies, Cuckoo Pint etc. Grows on hedge banks and on woodland edges in the leaf enriched soil. Common throughout Britain and Ireland. 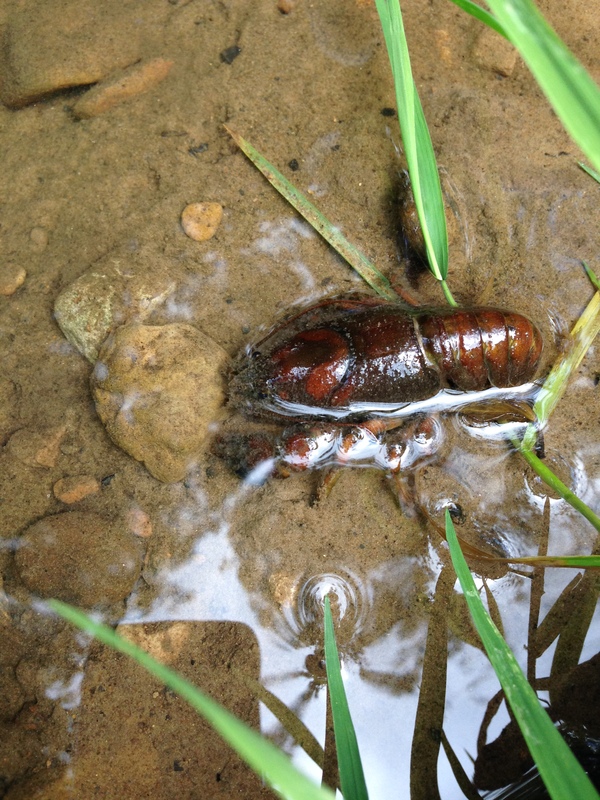 Looks like something from science fiction and has a life cycle to suit. 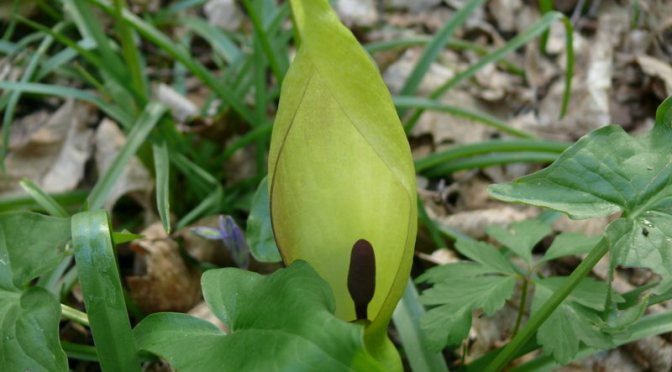 Has large shiny green leaves sometimes with dark blotches, followed by a thin leaf like cowl growing up through the centre and partially opening to reveal a smelly purple-ish central spike (March/April). This smelly heat emitting spike attracts insects which then slip down into the plant and are temporarily trapped in the base where they pollinate the tiny hidden flowers (female) and collect pollen from the male flowers to carry elsewhere once released. The leaves and initial spike wither away and are replaced by another spike growing upwards topped with the female flowers as small berries which turn from green to red (July/August). Birds eat the berries – but they’re unpalatable and poisonous to humans, as is most of the plant. 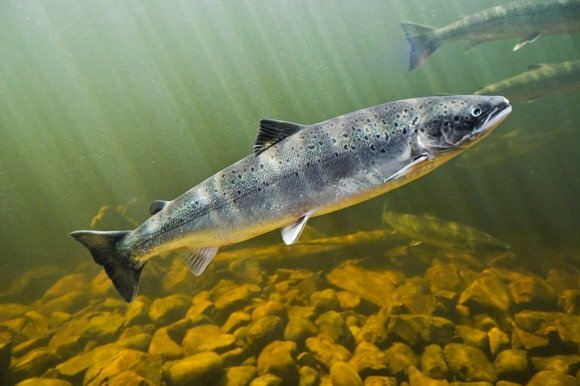 The Esk is the principal Atlantic salmon river in Yorkshire. 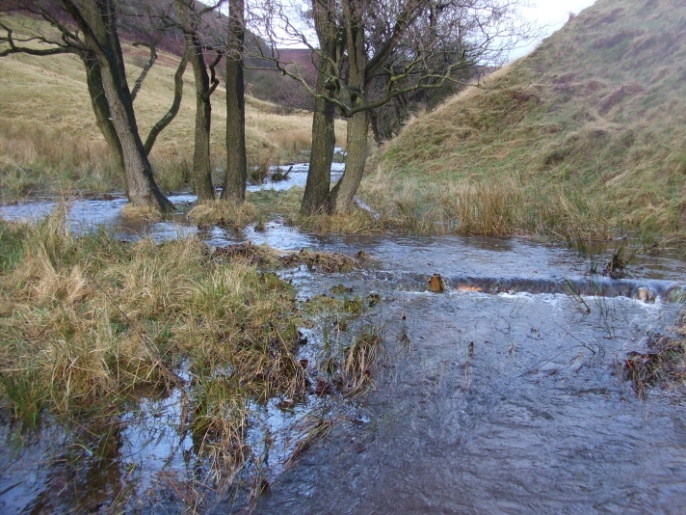 The whole of the River Esk catchment is within the North York Moor National Park. The rod catch on the Esk in 1923 was 950 fish per year, this number has declined to about 170 fish in 2010. 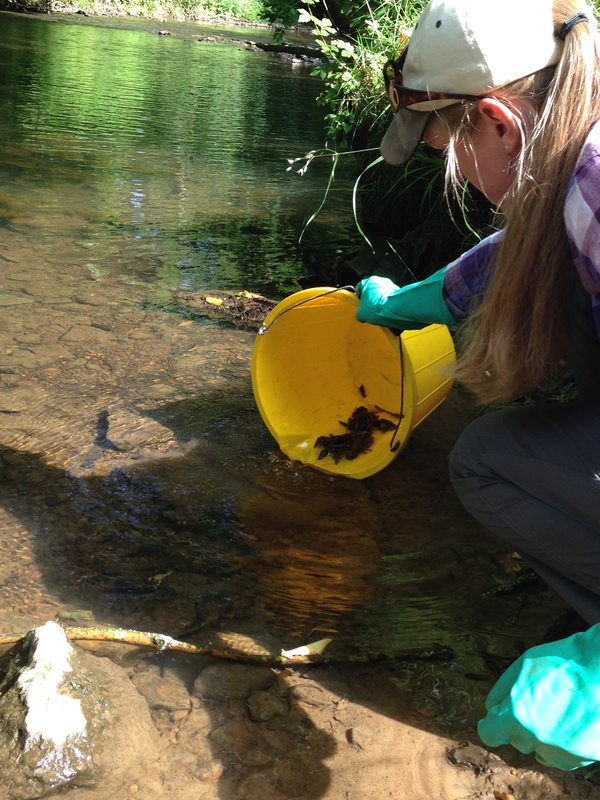 The National Park Authority’s Esk Pearl Mussel and Salmon Recovery Project has been running since 2007 and its aims include reversing the decline in the Atlantic salmon population in the river by improving water quality, improving in-river and riparian habitats and removing barriers to vital fish migration. i.e. the right attitude to work positively with people in the National Park to listen to what others have to say; to try and tackle concerns; and to take forward National Park purposes together. The latest example of this attitude in action has been the Dales and Moors Farm Innovation Pilot Project where the North York Moors National Park worked with the Yorkshire Dales National Park and neighbouring Areas of Outstanding Beauty across the wider area and used skills funding through the local LEP to provide free business and environmental advice to guide local farmers into producing their own whole farm plans and tailored proposals for sustainable ways forward for their farms. 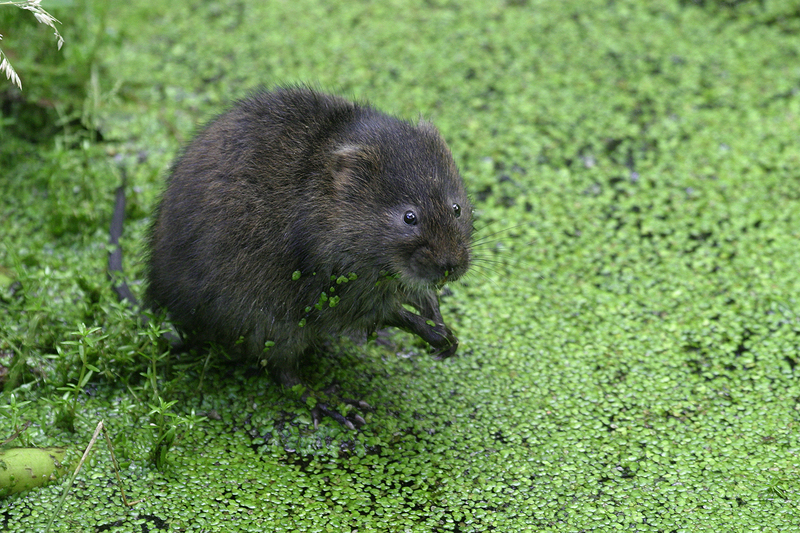 Yorkshire River Derwent in the National Park still support populations of this nationally declining species. 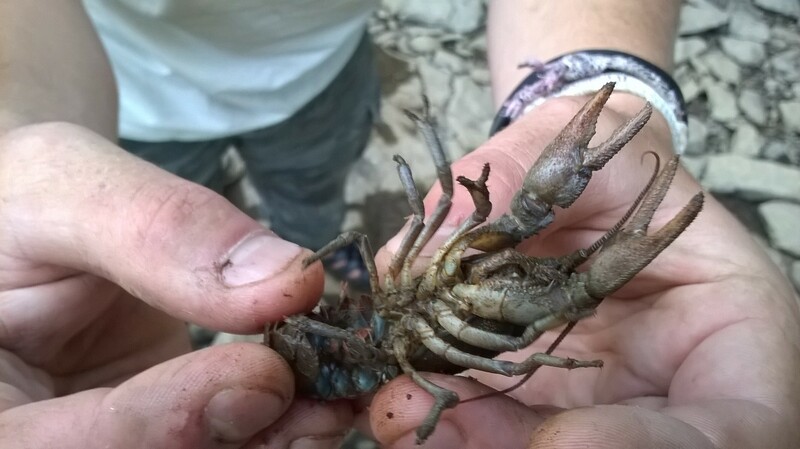 What with needing clean aquatic habitats, competing with non-native aggressive signal crayfish, and suffering from deadly crayfish plague, the White-clawed crayfish are in a perilous situation. 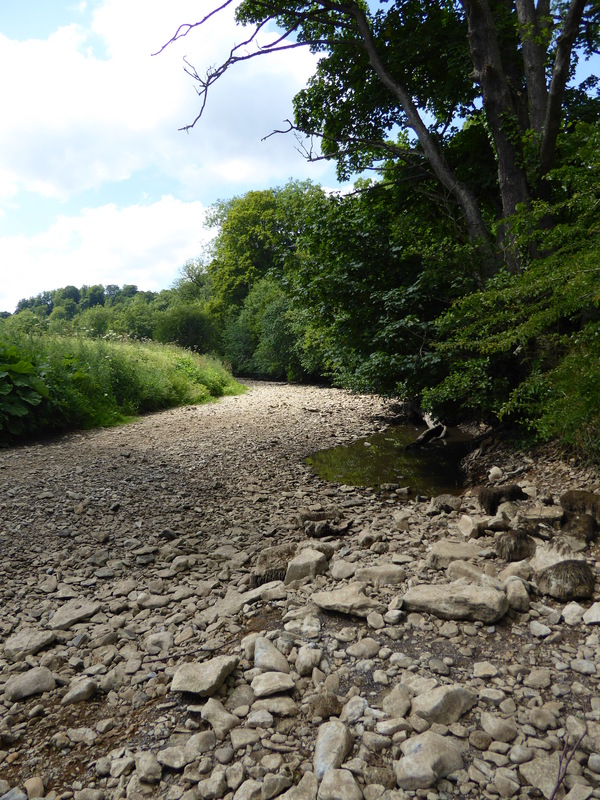 Just when you thought their luck couldn’t get any worse, one of these Yorkshire Derwent tributaries, the River Rye, tends to dry out in the summer at one particular location because of sink holes, leaving the local population of White-clawed crayfish and other aquatic creatures stranded. So just like a year ago, last week we had to launch another rescue mission. Alex led a team of Emily, Simon (who has a licence to trap and/or remove crayfish), Helen the Planning Officer, Alex’s partner Toby, and a helpful man called Jim and his dog. 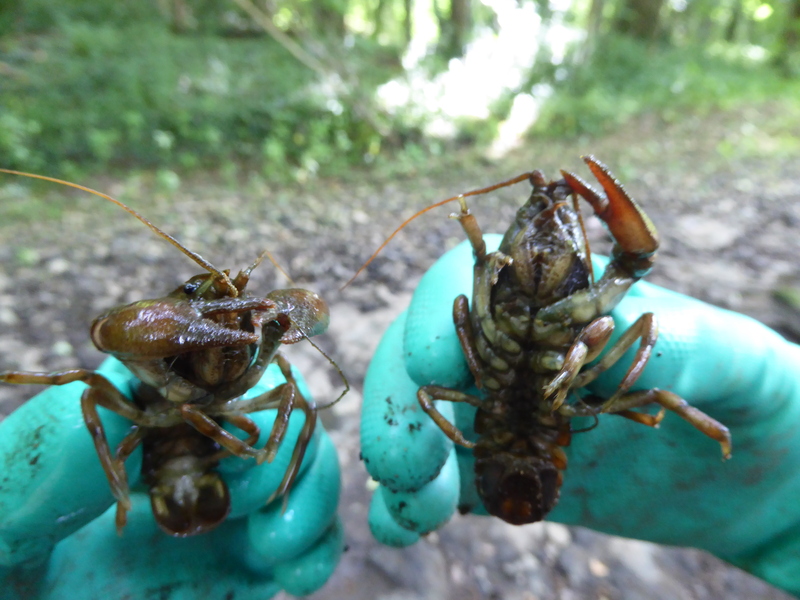 They managed to collect and relocate upstream of the sink holes around 500 White-clawed crayfish (including females carrying hatchlings) as well as 20+ lamprey and 40+ small fish that were scooped up with them. 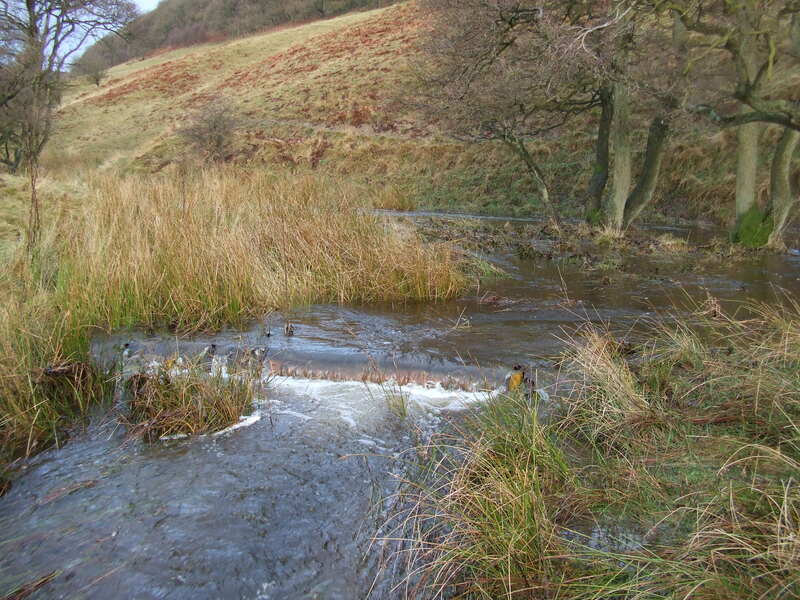 A couple of weeks before the Environment Agency (EA) had carried out a fish rescue at the same location. 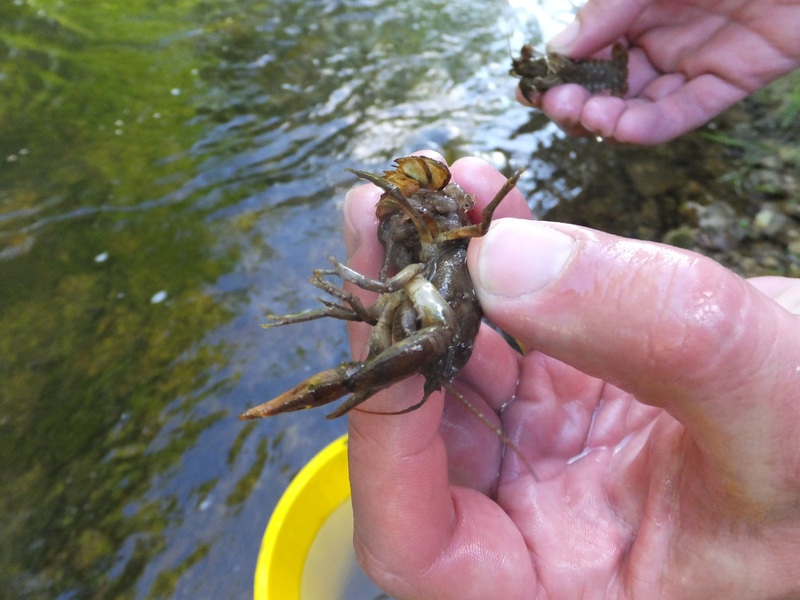 The EA rescued and re-located 265 Brown Trout, 65 Grayling, 5 Lamprey and 100s of minor fish species including minnows, stone loach and bullheads. 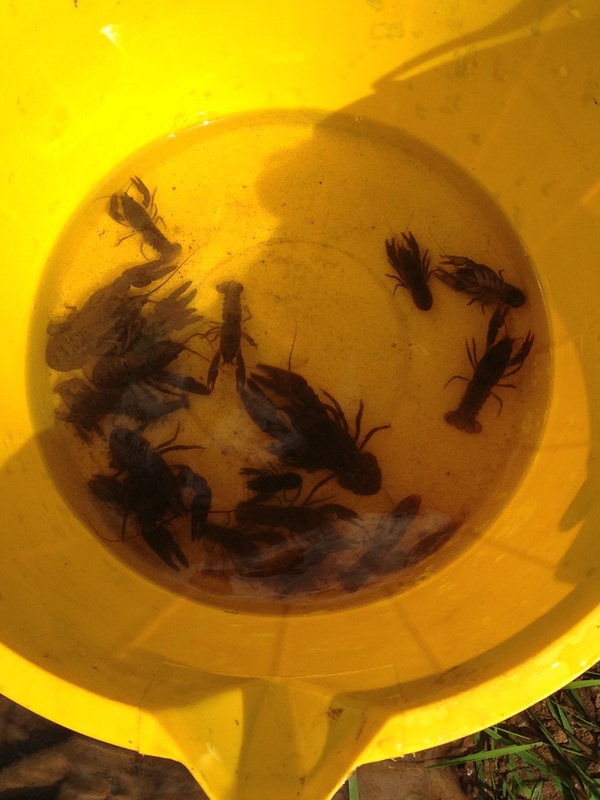 They also rescued 50 White-clawed crayfish, some carrying eggs. If you are involved in forestry and woodland management you will probably be familiar with this slightly more memorable than average acronym. It has been used for a while now and so likely to stay in use. 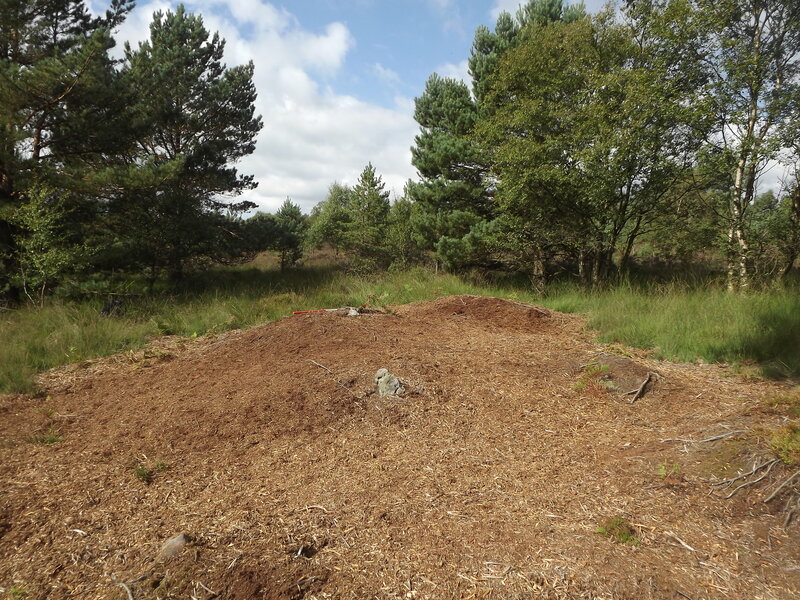 If you’re not involved in forestry and woodland management – it stands for Plantation on Ancient Woodland Site. 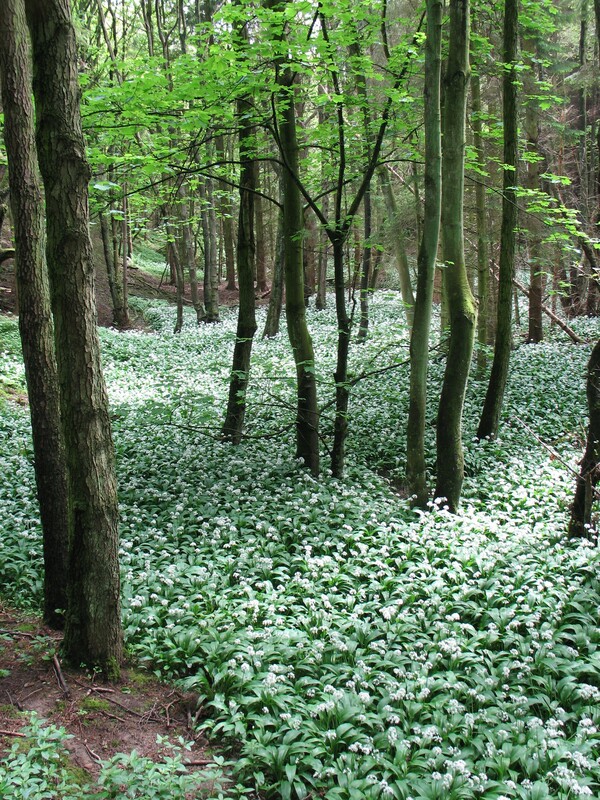 Ancient Woodland Sites are areas of woodland that have had a cover of trees for at least 400 years. Many of these have been converted to forestry plantations and are hence called Plantations on Ancient Woodland Sites or PAWS for short. Ancient Woodlands are our richest wildlife habitats and they also frequently contain a wealth of historical and cultural features. When these woods were converted into plantations of often single age and single species trees a great deal of this interest was lost. Most PAWS contain non-native conifers. 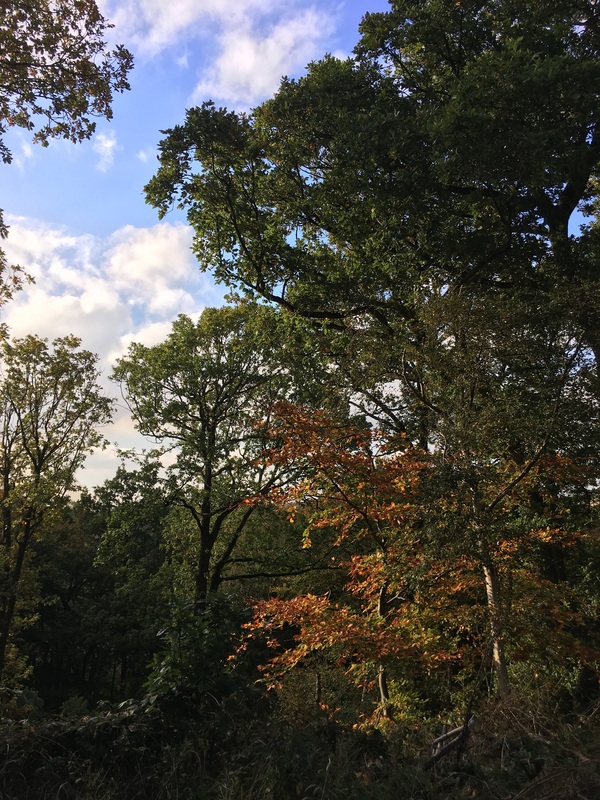 The restoration of these plantations involves protecting any remaining features of interest in the woodland and replacing the trees with native broadleaved species that are better suited to maintaining the special qualities of these woods. 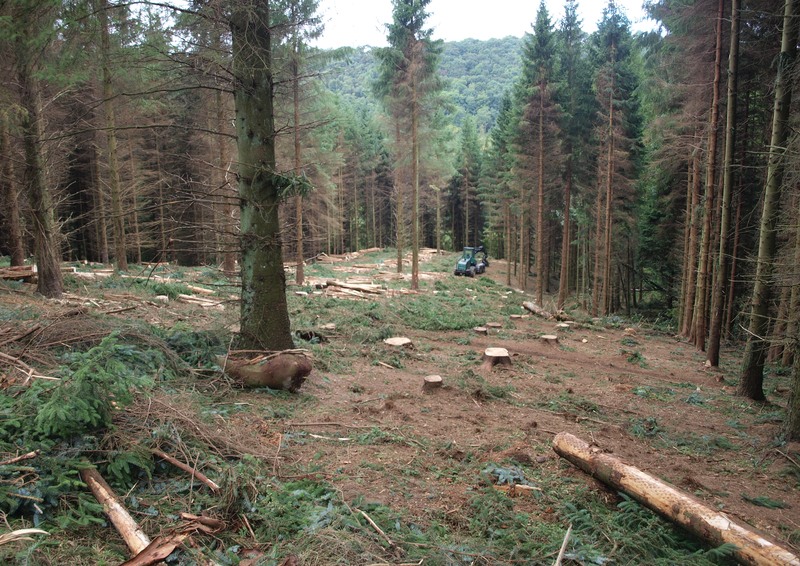 The North York Moors was almost entirely covered in woodland before man started clearing them. Now only 4% of the area is woodland of ancient origin. Over half of this has been converted to plantation forestry giving the National Park in the order of 3,700 hectares of PAWS. 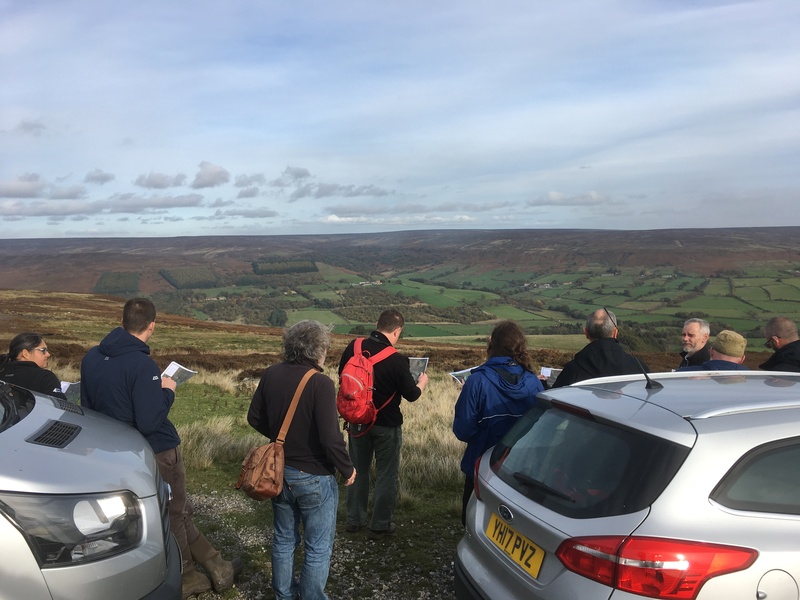 In October this year Ecologists and Foresters with an interest in PAWS met at the National Park Offices in Helmsley to discuss how PAWS and other plantations can be best managed. 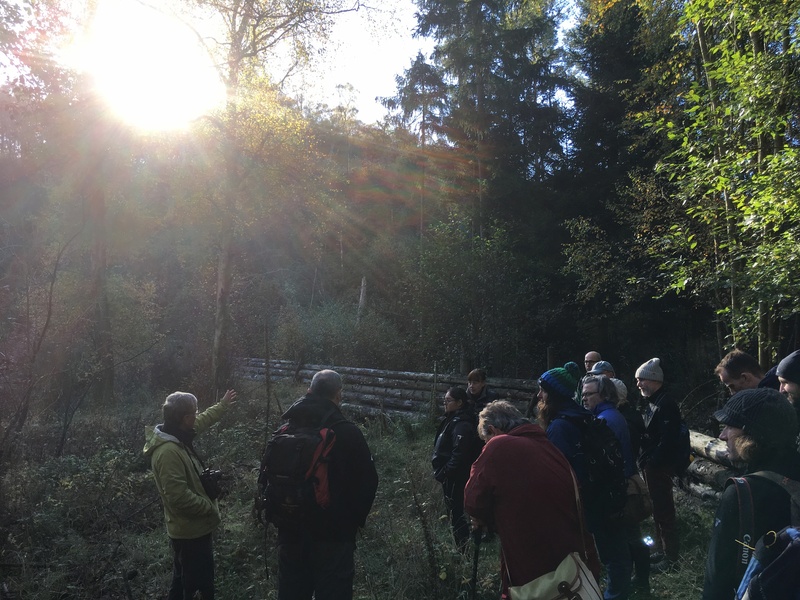 A range of talks from practitioners and researchers was followed by site visits to Duncombe Park, Robson’s Spring and Wykeham Forest. There was much lively debate about how to encourage and achieve restoration of PAWS. Woodlands are complicated and highly varied ecosystems and so each site needs to be looked at on its own merits. 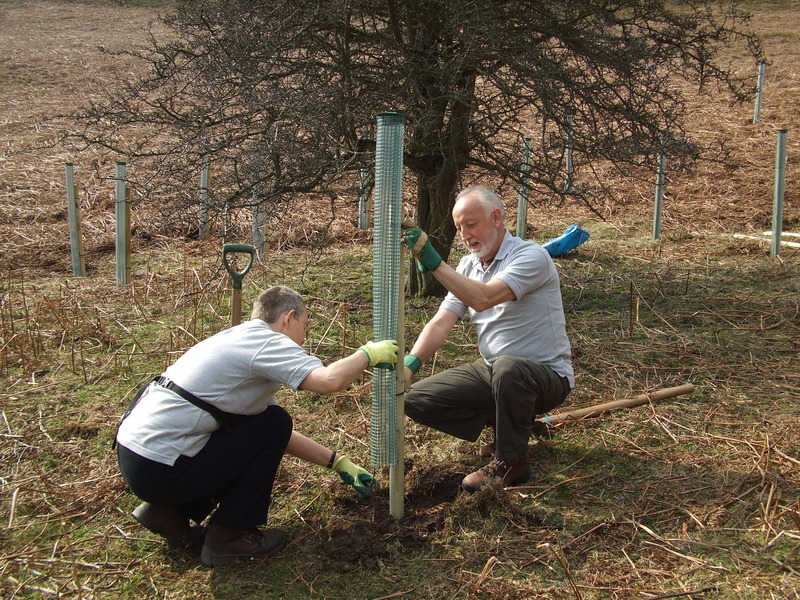 Even within the National Park a wide range of approaches to PAWS restoration have been undertaken ranging from large scale instant removal of the canopy trees through to very gradual thinning over a long period of time. 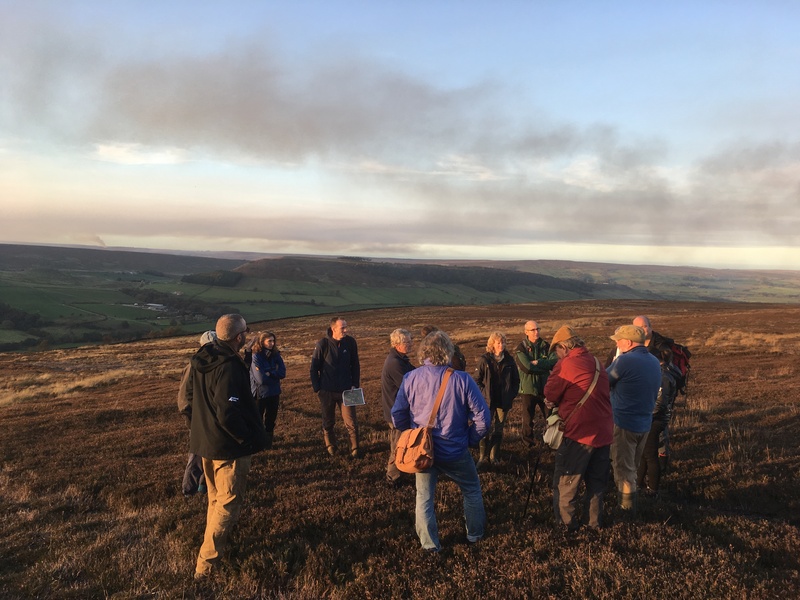 The National Park Authority has a grant scheme to help land managers in the North York Moors look after their Ancient Woodlands – just ask. 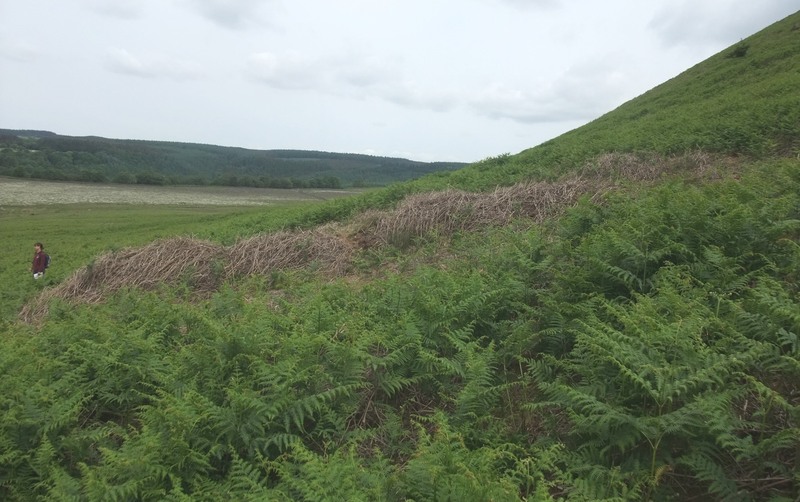 A green bracken covered hillside in the sunshine would be seen by many visitors to the National Park as an unspoilt piece of countryside, but how many would imagine that bracken is actually Public Enemy No. 1 for rural archaeological sites? Bracken has its place in biodiversity, but in the wrong location it can be very destructive for the historic environment. Because of the way the underground parts of the plant (the rhizomes) develop and spread, this inoffensive looking plant can cause enormous damage to fragile deposits and features below the ground surface. 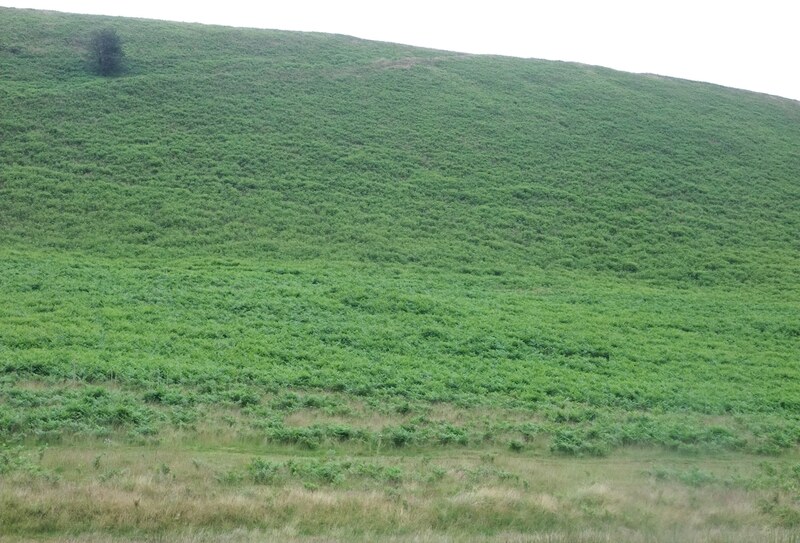 So the alarm bells start ringing when I see bracken growing on some of the best-preserved sites across the National Park, many of which are protected in law as Scheduled Monuments because they are considered to be nationally important. 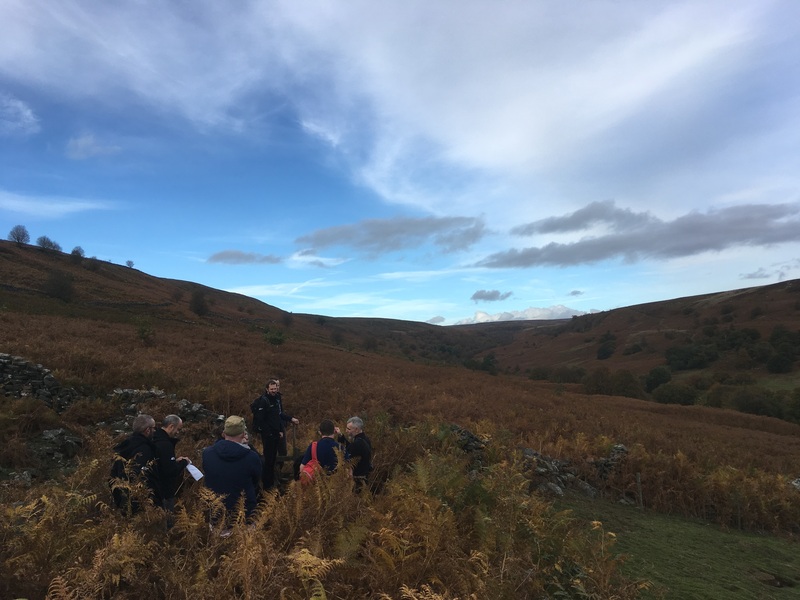 Organising the treatment and control of bracken growing on Scheduled Monuments has been a big part of my work as Monument Management Scheme Officer over the summer. I’ve often felt daunted by the sheer expanses of bracken hiding what I know to be wonderful archaeological sites and have had a number of unpleasant experiences pushing my way through waist-high bracken fronds. However, with a little perseverance and the goodwill and cooperation of very many people we’ve arranged for bracken to be sprayed on 35 Monuments this summer and I think we’re starting to have an effect. 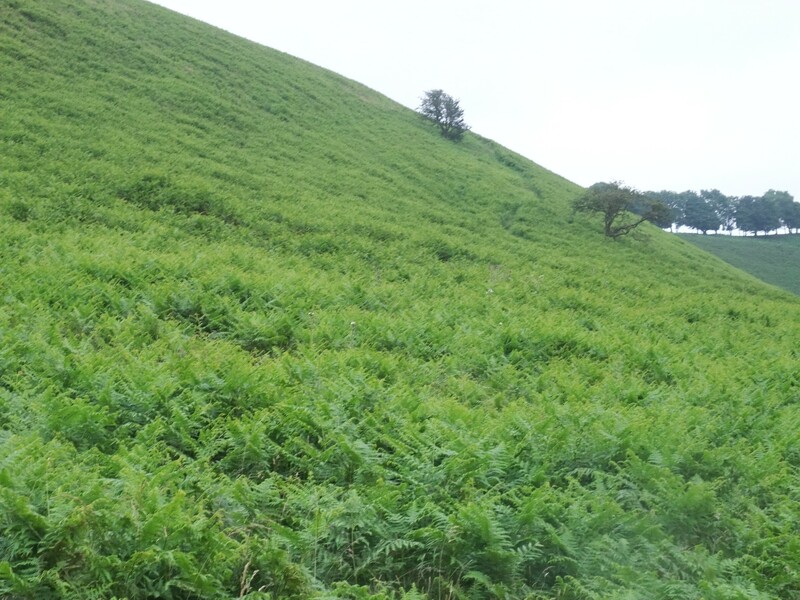 Landowners and farmers, partner organisations such as Natural England, the National Trust and the Forestry Commission, archaeological consultants, land management contractors and my colleagues in the National Park have all helped in the targeted battle against the bracken. From Bronze Age burial mounds and prehistoric field systems to medieval rabbit warrening features and 18th century alum working sites – many different types of site have needed attention and I’m hoping that when I go back to these Monuments next summer I will be able to see archaeology where I could only see bracken this year. 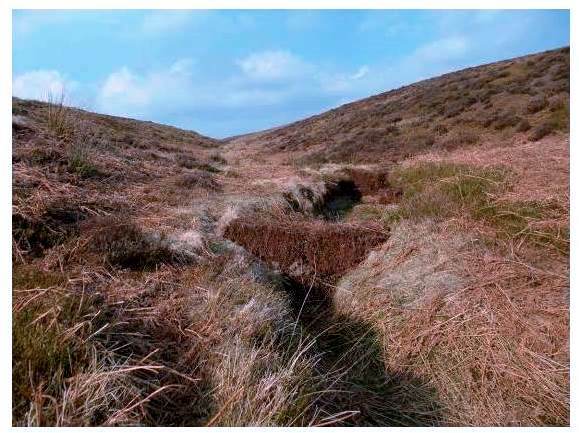 Our fight against the bracken has been possible because of the North York Moors National Park Monument Management Scheme (MMS). 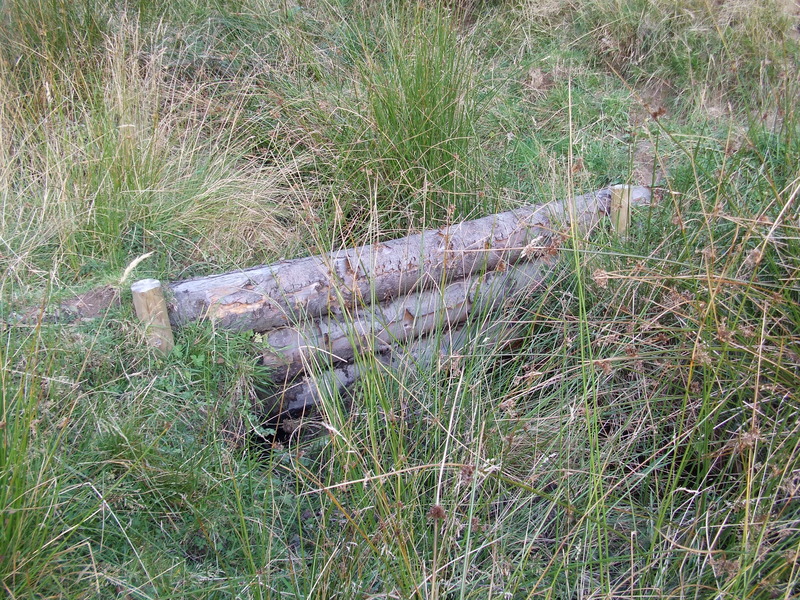 This programme was set up in 2009 in partnership with English Heritage in order to improve the condition of Scheduled Monuments on the Heritage at Risk register, which is published annually by English Heritage to highlight the Monuments across the country considered to be most under threat. The aim of the MMS is to remove as many Monuments as possible from the Heritage at Risk register by improving their condition. The risk is the possibility of the destruction and loss of nationally important Monuments. The MMS is now into its fifth year and it’s working very well – helping landowners and farmers to improve the condition of Monuments on their land by arranging for management and repair work to be carried out. 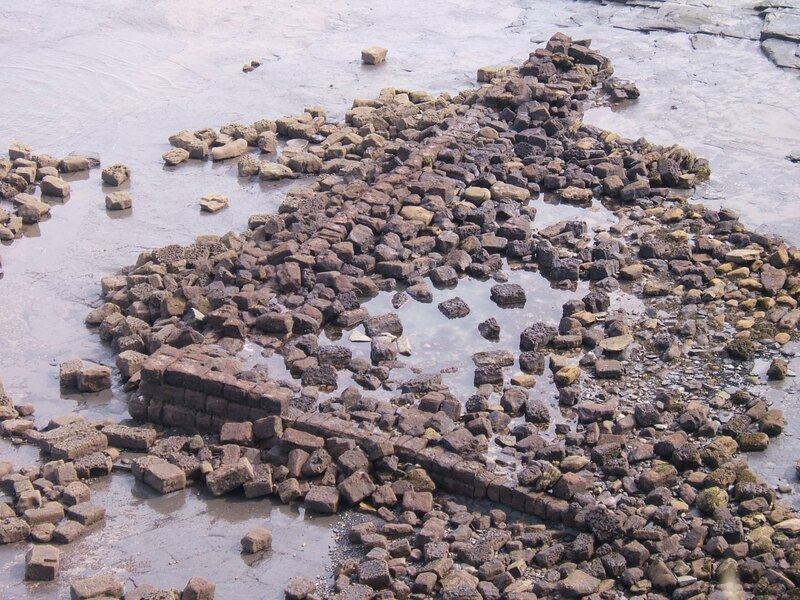 Usually we commission an archaeological consultant to draw up a Management Plan identifying the work needed without causing further damage to the Monument, and supervise contractors to carry out the work once everyone is happy with what has been proposed. 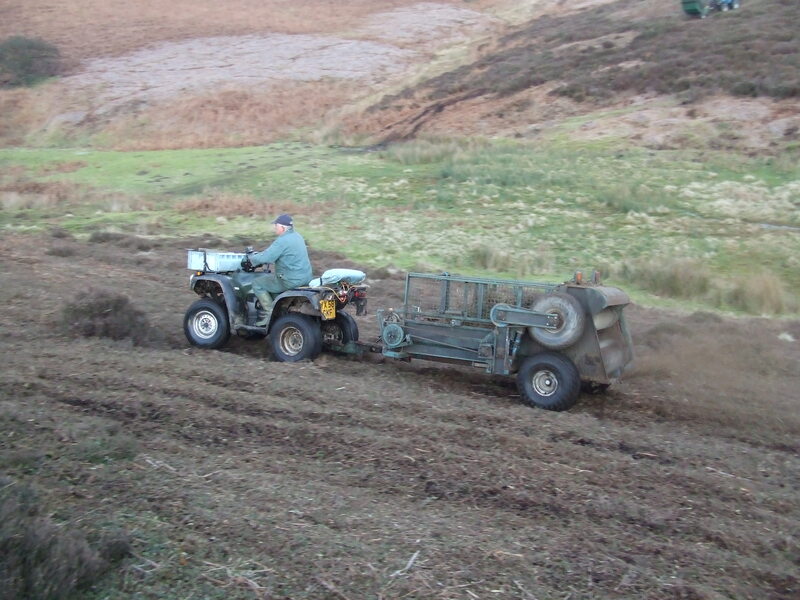 With bracken control and other vegetation management work, it’s very important that treatments are repeated in subsequent years in order for it to have a full effect. Extra feet on the ground….. 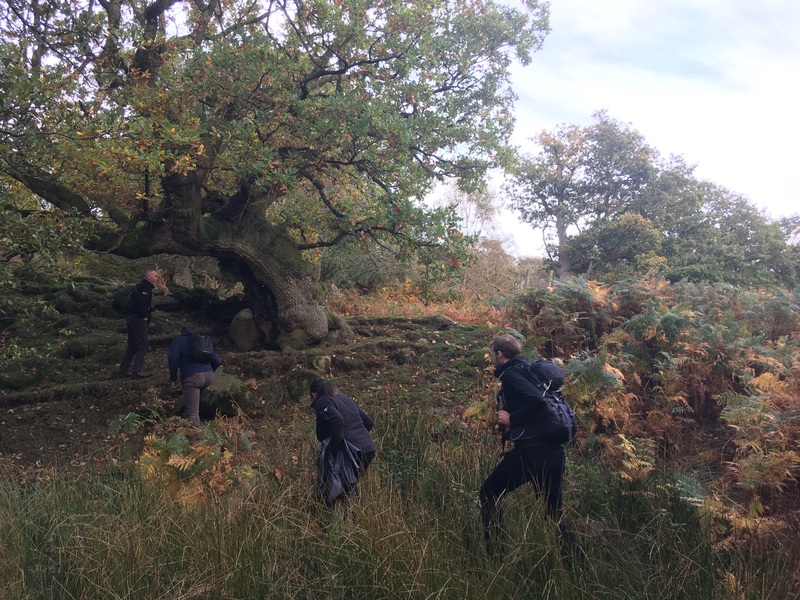 The National Park has a group of Historic Environment Volunteers and they’re fully involved in our drive to remove Monuments from the Heritage at Risk register. 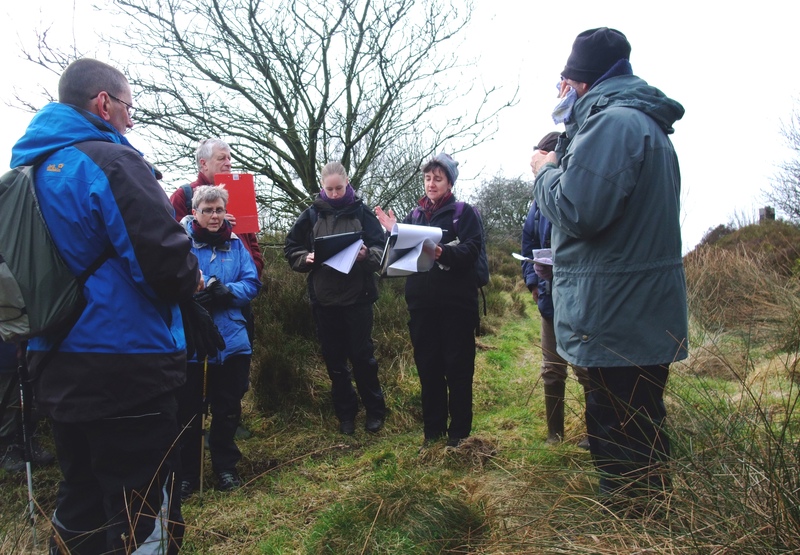 In the spring our enthusiastic volunteers were trained in what to look out for and now we have Jo Collins who works for the MMS two days a week coordinating their efforts out in the field. The Volunteers have been busy over the summer visiting Monuments to give us an up-to-date record of their condition. 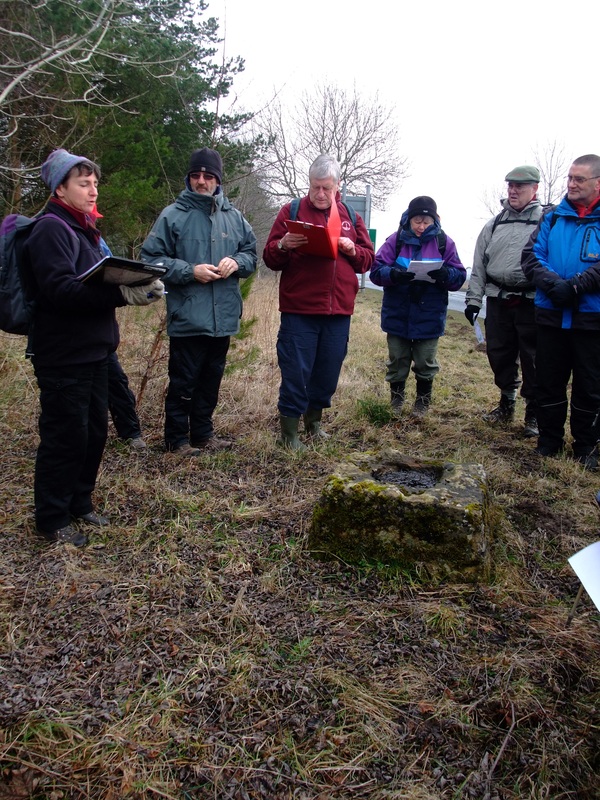 This is immensely helpful as we have a huge number of Scheduled Monuments in the National Park (840 – the highest density within the Yorkshire region, and second in number to only one other National Park). Many of these Monuments haven’t been visited for several years and have almost fallen off the radar for regular monitoring, but with the help of the volunteers we can identify any problems developing and then try to address them through the MMS. 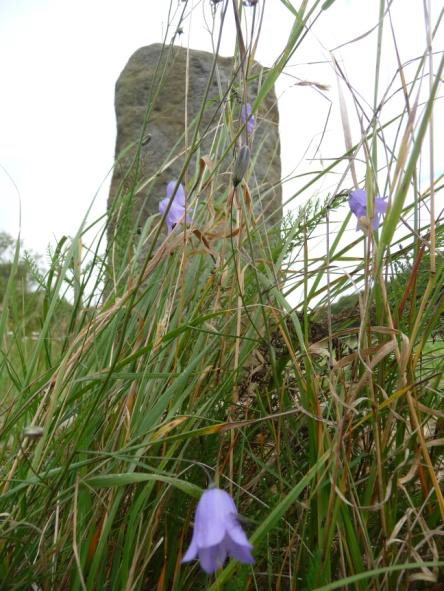 136 Scheduled Monuments were on the Heritage at Risk register before I started work on MMS – we’ve removed 38 since then, but we still have a long way to go! 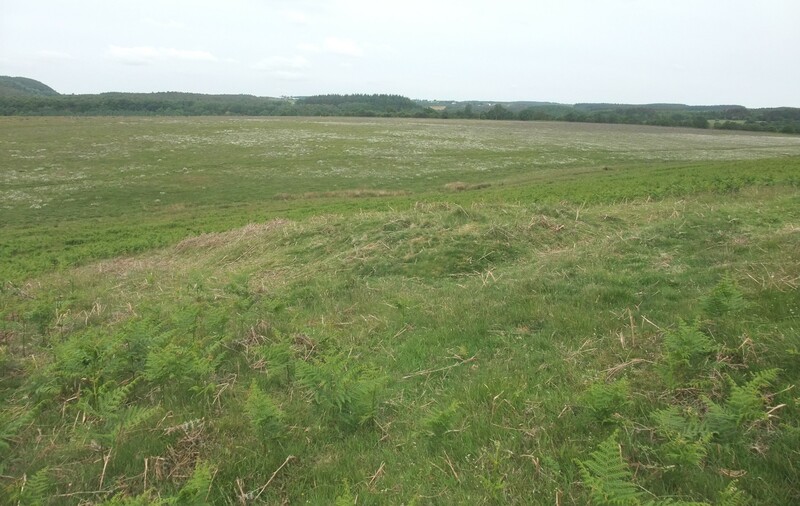 A word about the photographs – some archaeological features are sometimes difficult for non-archaeologists to make out – but if you can get your eye in and learn to recognise different shapes on the ground …..